Mac OS X 10.9.1 only broke out of Infinite Loop's software sanctuary this week, but Apple is already planning to release the next version of Mavericks into the wild. Mavericks 10.9.2 has been seeded to developers and brings with it a pretty notable addition in the form of FaceTime Audio integration within the native FaceTime and Messages apps. It will allow users to make audio-only calls from the apps, for those times when only voice is necessary, or when users, you know, don't necessarily want to see the person they're calling. 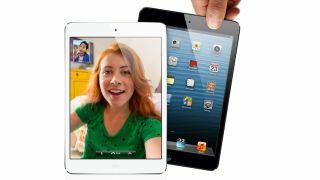 The FaceTime Audio feature has been available to iOS 7 users since that software became available in September, but this update will bring Mac users into the fold. The improvements to FaceTime, give Apple a more legitimate shot at rivalling Microsoft's dominant Skype platform is the best all-in-one tool for online calls, video chats and instant messages. Naturally, Skype still has a major advantage over FaceTime due to its cross-platform compatibility, but in terms of its Apple-to-Apple share of the market, Skype may lose a little ground. There's no word yet on when the update will reach Mac users, but these betas usually go through a few versions, so we'd wager it'll probably arrive sometime in the first few months of 2014. The latest iOS 7.1 beta hints that in-car support is coming soon. Is Apple taking a run the audio industry?